So now we are back in the UK. We arrived at Heathrow on Thursday afternoon then we had a day to rest before coming up to Hinckley Island for the 4NCL. Am I looking forward to playing? I think so, but let’s see how I get on in my games. Yesterday at 2pm I was exhausted and all I wanted to do was sleep. 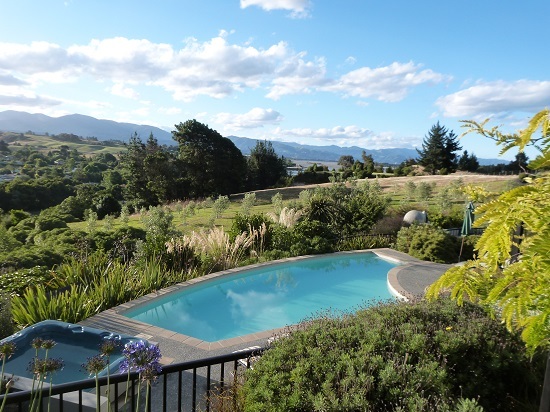 I am planning on writing about our time in NZ, our week in Auckland with my family then our time in Welly with our good friends Bill,Maria,Ross,Lin & Alan. Then our mini honeymoon around Nelson at the top of the South Island. Wish my morning view was like this every day! While in NZ, we played some chess – bracciamente & 4 players chess. 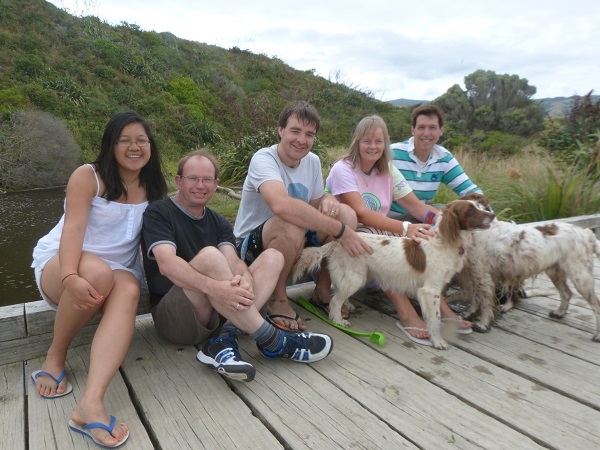 The day before we flew out we managed to visit the New Zealand Chess Championships held in Auckland. Currently leading is IM Puchen Wang who is back from the US after completing his studies/work there. You can see the pairings here. Wang vs McLaren Round 5. Here the winner managed to win after Black blundered with 56…Kf6?? 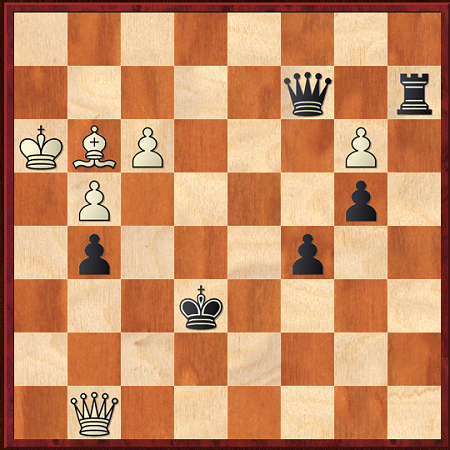 Allowing mate in 15. Can you calculate it? Or can you see how Black keeps drawing, hard as it is to defend. Today we will play the 3rd round of the 4NCL. Gawain missed the first weekend where he was instead playing for England at the European Teams. His team Guildford play Blackthorne Russia with Black on board 1. My team White Rose, today play 3Cs and tomorrow will face WGHK1!